Heidi has around 35 years Dee Jay experience and is a firm fixture at the ‘Walldorf Festival’ and enjoys making the dance floor buzz! 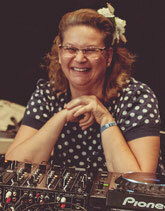 Musically Heidi enjoys playing a selection of hot boogie-woogie, rock 'n' roll, swing, jump and jive for the dancers. Highlights include; last year besides Walldorf, the Summer Jamboree in the Italian Senigallia, the Firebirds-Festival in Trebsen as well as at the Rocking Around the Christmas Tree in Dortmund and the Rock That Swing in Munich. 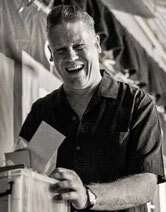 Mark is a ‘Walldorf’ veteran since the first minute and a familiar face on the English rock ‘n’ roll scene. The ‘Blonde Bomber’ has relocated from Newcastle upon Tyne in England after finding love in Germany and now resides in the ‘German Las Vegas’ (Baden-Baden). Mark plays an English style set and has a sound knowledge of music and this “Rockin 'Daddy” will keep the dance floor cooking. Mark works at various music festivals, not only Walldorf. Highlights were; Walldorf, the ATOMIC Festival in Sywell , England, the Blue Monday, Good Rockin' Tonight Festival in Attignat / France and at the legendary opening party of Madame Butterfly in Schwaigern. The earth is for him a record and the dance floor is his target. Lucky Shooter always hits the bull's eye with its varied vinyl mix of top-class boppers, jivers and strollers. No wonder the co-founder of the Frankfurt Wildcat Night and label boss of Witchcraft International is a well-booked DJ at the hot rock 'n' roll events all over Europe - 2017 next to Walldorf and others, at the Berlin Shake, the Firebirds Festival, the High Rockabilly in Spain and the Lets Get Wild New Year's Eve party in Stuttgart. 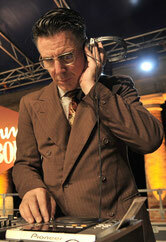 Time and again an enrichment for the Walldorf Weekender is this outstanding swing and rhythm 'n' blues DJ and gentleman of the old school. The ever-gallant DJ is usually found on the dance floor. In 2017, Jay Cee appeared at; Walldorf, the Summer Jamboree, the Swing in Brescia, the Vintage Roots in Inzago / Italy and the Rhythm Riot in England playing to full dance floors. Spy plays all ‘the stuff to get CRAZY to’, no more and no less. 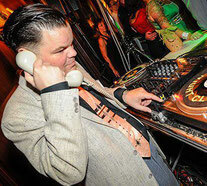 Spy is also considered one of the world's most travelled Dee Jays within the rock ‘n’ roll scene. Spy has travelled to a variety of exotic places including; ‘Osaka’ Japan, ‘Long Beach’ and ‘LA,’ America and ‘Mexico City’. Spy is well known on the scene and will be a DJ and our stage announcer. 2017 beside Walldorf he was at; The Dead Man’s Curve Car Show in Mahwah / New Jersey, the Alsace Rock n Jive Festival, the Wild Records Pre Viva Vegas show in Los Angeles on its tour schedule. 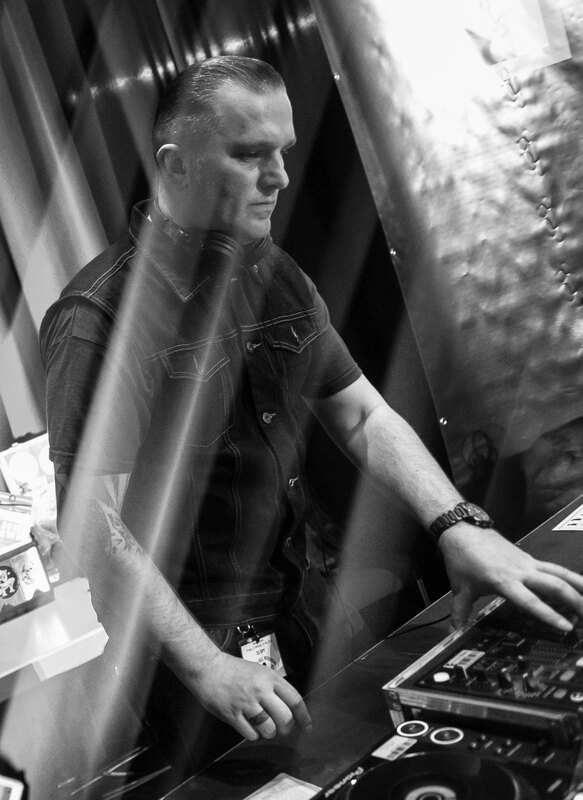 Rebelyell has been on board since 2010 and is now an established DJ star. As a passionate dancer, Rebelyell knows how to bring the audience to the dance floor with authentic rock 'n' roll, high school pop, rockabilly, rhythm 'n' blues and doo wop. His German songs are also in his program. Over the years, he has developed his own distinctive style, which he lives out with great passion. Hear him behind the turntables and meet him on the dance floor. In 2017, Rebelyell's sets, apart from Walldorf Weekender, the Rockin 'Rumble in Illkirch, the Rock 'n' Roll Days in Dreiech and the 20-year Flaming Star Party with Paul Ansell's Number Nine in Speyer made the shoe soles glow. Fred the Cat our quiet Bavarian Dee Jay is the principle of relaxation and for him anxiety is a foreign word. However with his music selection Fred the Cat ignites the dance floor like a match to a firework and his blend of rockabilly, rock 'n' roll and blues boppers are musical pyrotechnics. 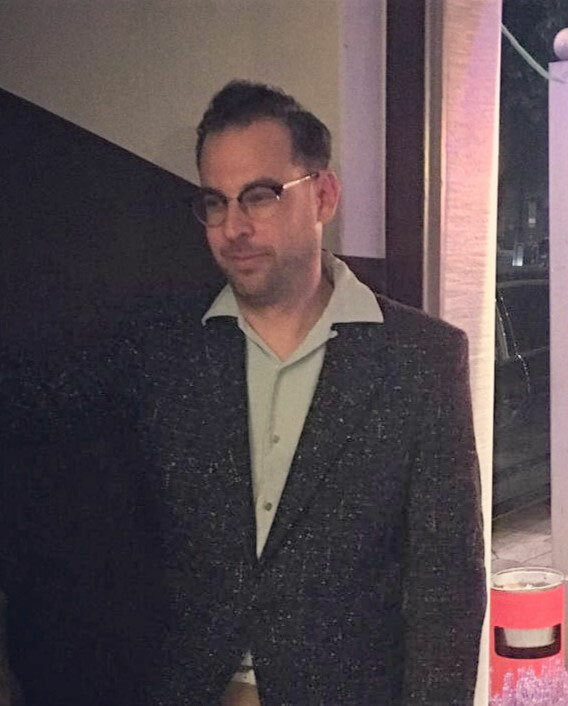 As well as the Walldorf Weekender, he had his hot discs circled among others at Halloween Blood & Roll in the Munich, Peppermint Lounge and at the "Shake Your Hips" Rockabilly Jive Workshop at Isartor. Rockin’ 'Rumble Heiko stays in our versatile Walldorf Record Hop mix and he is a real crowd pleaser, whether on stage as a singer of the Foggy Mountain Rockers or behind the turntables as a DJ. In addition to local Record Hops and the Walldorf Weekender, his DJ highlights for 2017 were; the Rockin’ Bones Winter Dance in Oberhausen and the Rockers Night Out Special in Bonn. From time to Heiko also occasionally heats the audience in the Cologne Blue Shell. Heiko will also spin the wax at the Rust & Chrome Car Show this. This friendly DJ Wolfi will make his debut in Walldorf in 2018. 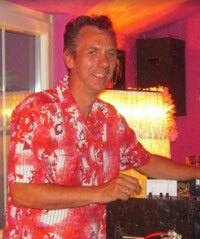 Nevertheless, he is not a newcomer, because Wolfi has been touring the country and abroad for over 30 years as a DJ. 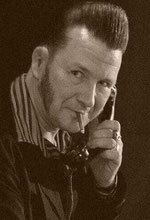 His music mix ranges from, Revival Rockabilly, Rhythm & Blues, a little bit of Teddy Boy and Jive from the 50s to today it's all there. Wolfi's motto "have fun and party - Let's Rock 'n' Roll!”. 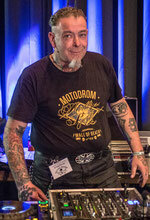 In 2017, Wolfi presented his skills among places at the Trash Town Rockabilly in Baden / Switzerland and the Rockabilly Bombardment in Austria.